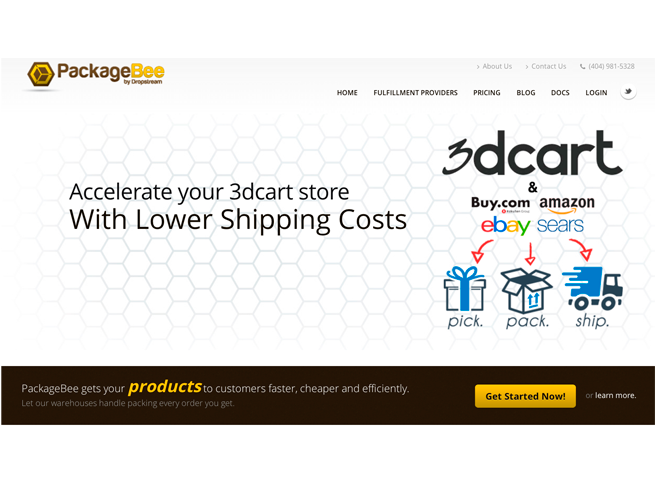 PackageBee simplifies order fulfillment by automating order, tracking, and inventory synchronization between 3dcart and your fulfillment center. With PackageBee, our goal is to simplify order fulfilment for online merchants. 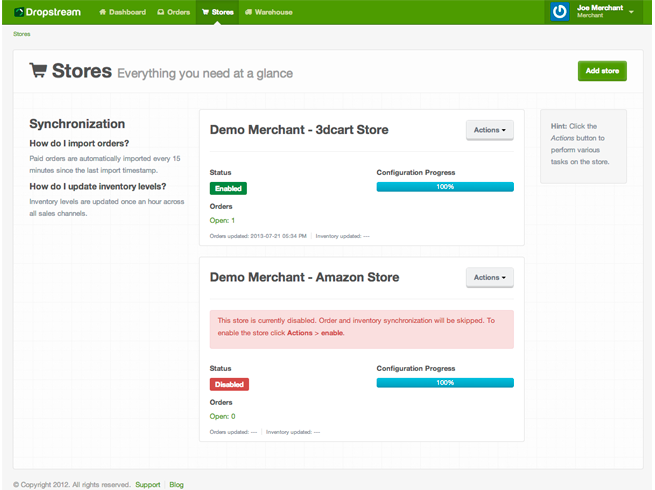 We combine order processing, automation rules, and industry experience in an easy to use, web-based interface that integrates directly with online sales channels and major fulfillment centers. By taking care of the technical stuff, we allow you focus on what you do best – selling and marketing your products. Pay nothing until you are ready to start shipping orders. Package provides eCommerce order fulfillment services through partnerships with warehouses around the U.S. and Canada. Our service allows you to scale your business by eliminating the hassles of shipping and storage. Instantly connect your online store or marketplace with one of our fulfillment partners in U.S. or Canada, and let us pick, pack and ship orders to your customers faster, and for less. Not only does PackageBee download your orders automatically, but it also sends the tracking details and inventory levels back to your selling platform. 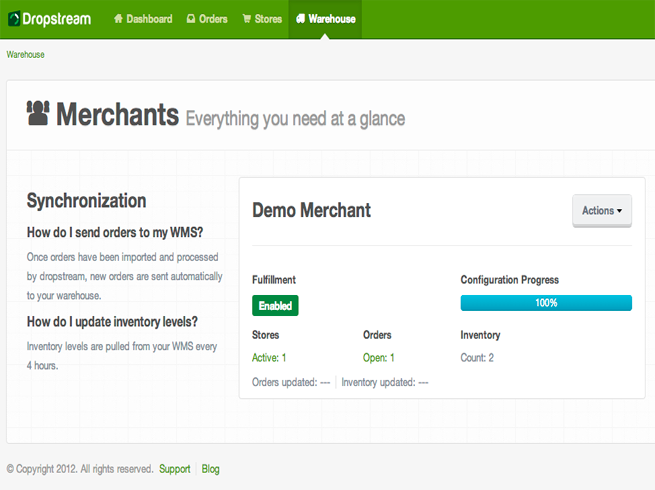 Seamlessly send orders to any one of these fulfillment providers, with just a few clicks. *Subscription fee is waived for preferred fulfillment provider. 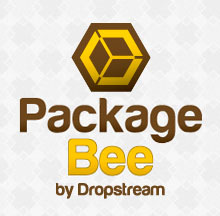 The PackageBee plans start at $49 per month and include support for unlimited order volumes, unlimited sales channels and no setup fee. 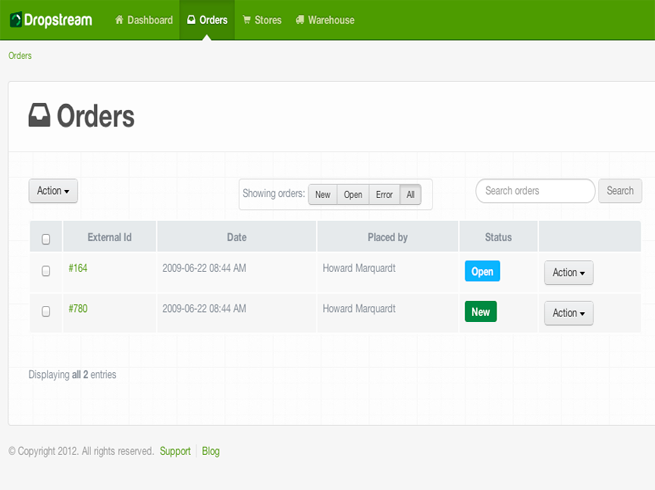 Support for additional fulfillment providers is available by request. Start your free trial today, and pay nothing until you are ready to start shipping orders. Kabbage is the world's fastest and easiest way to get a line of credit for your business.